Why Get Involved with the Biophysical Society? The Biophysical Society (BPS) provides many opportunities for members to get involved and give back to the biophysics community. Make a difference, gain leadership experience, and expand your network by getting involved. See below for the different opportunities. Save the date and start planning for the fourth annual global Biophysics Week, taking place March 25-29, 2019. 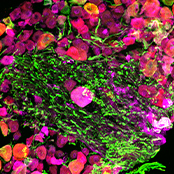 Biophysics Week is a global celebration of the field of biophysics. Get involved by sharing your science with your community and help get the word out about what biophysics is and its significant scientific contributions. 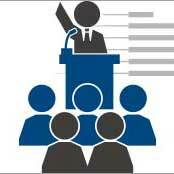 Become a Biophysics Week Ambassador by planning an event. Visit the Biophysics Week website for more information. 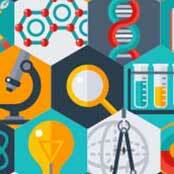 Science funding depends on policy makers understanding the importance of scientific research. Your help is essential in reaching the decision makers in your country. Worldwide, the scientific community, should be the authority on matters of science policy and your voice is too important to go unheard. Make a difference in your country. 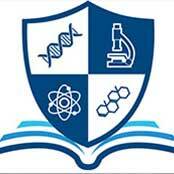 BPS has sponsored student awards at international, regional, and state science fairs since 2009. BPS promotes the teaching and learning of science, technology, engineering, and math in schools worldwide, and raises awareness about biophysics at the high school level or equivalent. BPS will sponsor an award at international, regional, and state high-school level science fairs where members are willing to judge. If there is a fair not on our list where you would like to be a judge, let us know. At the Biophysical Society (BPS), we offer leadership and career advancement opportunities for members at every stage of their career, from students to seasoned scientists. 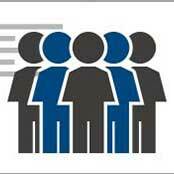 The Society encourages members to join a BPS Committee. Committees are essential to the implementation of the Society's stated purpose to lead the development and dissemination of knowledge in biophysics. Joining a BPS Committee allows members to develop leadership skills and really connect with other members of the Society. Society members wishing to be more involved in Society activities are encouraged to submit a volunteer form and indicate their interest in one or more of the following committees: early careers, education, inclusion and diversity, membership, professional opportunities for women, public affairs, or publications. 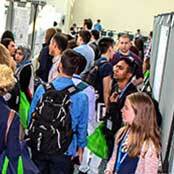 The Biophysical Society has just launched the BPS Student Chapter program. This program aims to build active student chapters around the globe, increase student membership and participation within the Society, and promote biophysics as a discipline across college campuses through activities organized by the chapters. Chapters may be formed within a single institution, or regional chapters may be developed between multiple, neighboring, institutions. The Biophysical Society (BPS) understands the importance of collaborating, sharing, and networking, and that’s why we provide many opportunities throughout the year for BPS members to meet with their peers. Take advantage of the networking and peer-to-peer opportunities that are available to you at the BPS Annual Meeting and Thematic Meetings. Change and inspire your community! BPS members interested in helping others in the field of biophysics are encouraged to join the FaB Network (Find a Biophysicist). You may choose to volunteer for mentoring, K-12 classroom visits, Student chapter sponsorship and speaking engagements. 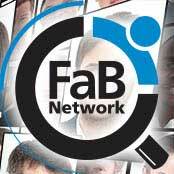 Only BPS Members can be listed in the FaB Network but the FaB Network is accessible by both Members and Non-Members. Those who are listed in the FaB Network can be contacted by BPS Members and Non-Members for requests like mentoring, K-12 classroom visits, student chapter sponsorship and speaking engagements.